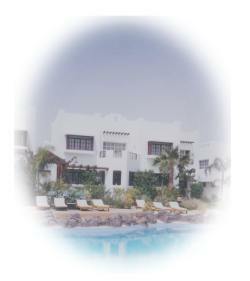 Are you looking for accommodation in the Red Sea Area? 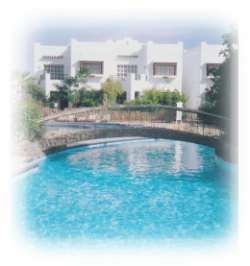 I have a well maintained and spacious apartment situated in a very luxurious resort in Sharm el Sheikh. Let me welcome you to the warm crystal clear waters of the Red Sea with the Sinai Mountains close by. Swim with Dolphins and dive in the world famous Ras Mohammed National Park or the Straits of Tiran. Experience genuine Bedouin life by spending an evening in the desert. Climb Mount Sinai and visit the Burning bush and St. Katherine's Monastery. For those wishing to relax and do nothing, laze the day away on a sun bed by one of the many pools. Waiter service, swim up bars and Jaquzzi's are all on offer. We also have our own private beach down in Naama Bay. For the more adventurous, there is Quad Biking, Horse and Camel riding activities. On arrival you will be met by taxi displaying your name on a board. The taxi will cost between 50 Egyptian Pounds (LE ) and 200 Egyptian Pounds depending on how many there are in your party. The price is discretionary but please pay him a minimum of 50 LE for one person and up to 200 LE for a family with lots of luggage. The apartment will be ready with fresh bed linen, hand towels and tea towels but please bring your own beach towels. You should find water and milk in the fridge. Your deposit of £100.00 will be returned to you after inspection and when all keys and pool cards have been returned. I will return your deposit via bank transfer. In the apartment you will find a folder containing everything you need to know, including my phone number, to get the maximum enjoyment out of your stay here on the Red Sea.